Leaving Havana was the most excited I've been to be back at sea. I'm not sure why but my heart was singing as we pulled away from the pier. This sail marked the half way point - kind of exciting, kind of sad. Fittingly for the half way mark, this sail was also the sail of midterm exams. This meant a quiet ship and stressed students. They had a day of study and then exams began. There were 5 exam sessions over 3 days and as well as written exams the students have to do short oral exams too. 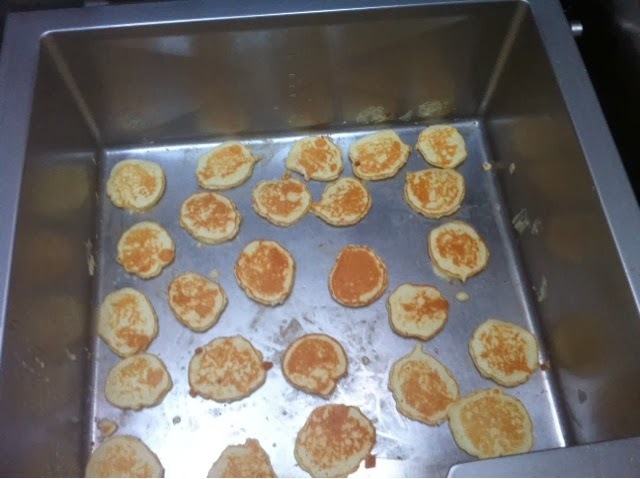 We celebrated Shrove Tuesday with pancakes for dinner. Surprisingly few people had heard of this tradition (not surprising for the international crew but I thought it was better known in North America). The non-wind continued all day so after the day's exams were done we had a swim call! 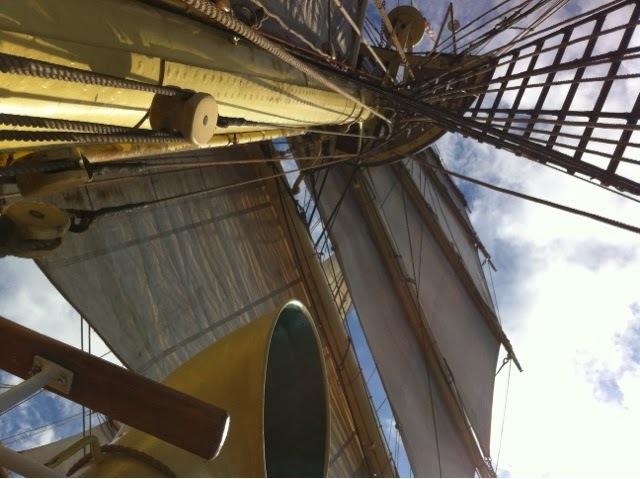 I jumped off the bowsprit and quite enjoyed floating and looking at our beautiful ship with all her sails up. After the swim call we had a Mardi Gras themed family dinner in the banjer and served fish we caught off the ship. This sail we caught another mahi as well as two tunas. 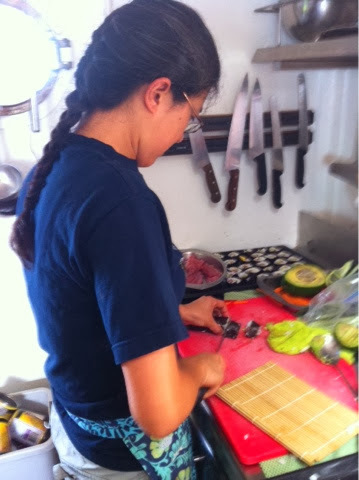 I made sushi for the first time - after a 10 second how-to I was rolling away and really enjoyed it. The day we arrived I had a major baking day making buns, bread, muffins, gluten free brownies and buns, cookies and johnny cake (a local recipe I got from a guidebook). Phew! That night we were at anchor and had a BBQ on deck. Turks and Caicos is another port where we are at anchor so tendering in it will be! Would be awesome to see the ship under full sail!